Busy day today but not too much happened that's Christmas related. So I wanted to share this screen shot I captured this weekend. 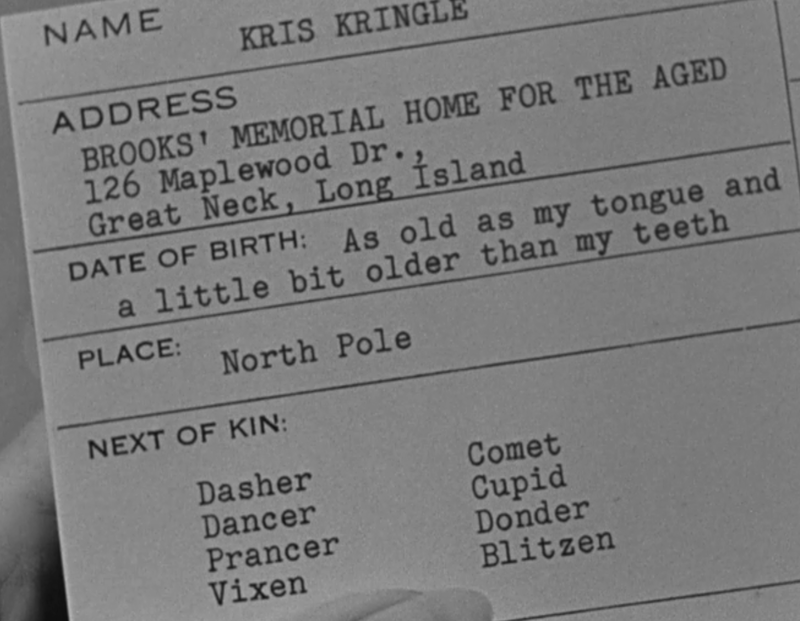 I was watching Miracle on 34th Street and this is Kris Kringle's employment card for Macy's when he was hired to be their Santa Claus. I betcha in 1947 when the movie came out that they didn't foresee being able to stop the film like this and be able to capture a crystal clear image of what's being shown on the screen. Here's another funny screen shot. 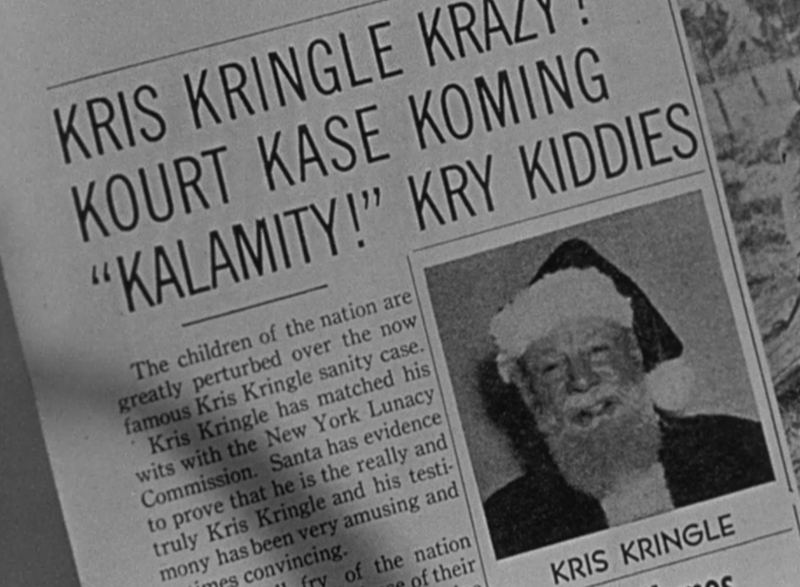 I have to admit that I"m surprised that a film this old has completely relavant text in this newspaper article. Jimmy and I have developed a habit whenever we watch TV to stop the video to read any headlines or articles the show presents. Nowadays, most shows are really good about making sure the text is relavant. Older films and shows weren't as fastidious. They'd run a couple of semi-relavant sentences and just repeat them over and over again to fill the space. "Two of the reindeer names, Donner/Donder and Blitzen, are often the source of confusion, misspelling, and misinformation. The short facts are these: Donner/Donder and Blitzen were named ''Dunder'' and ''Blixem'' (the Dutch words for ''thunder'' and ''lightning'') in the original printing of "A Visit From St. Nicholas." In reprints of the poem, the names became ''Donder'' and ''Blixen,'' then ''Donder'' and ''Blitzen'' (the latter being German for ''lightning''). By the time Johnny Marks wrote "Rudolph," it was ''Donner'' and ''Blitzen'' (possibly because ''Donder'' was musically awkward)."